The word “peril” invokes different images for different people, although the reaction is usually the same for everyone: avoid, avoid, avoid. 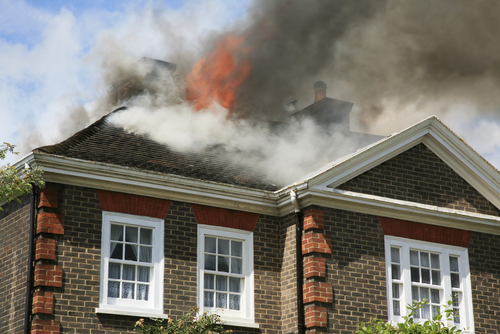 Despite your best efforts, sometimes perils to your home and property cannot be avoided. That’s where a good homeowner’s insurance policy comes in. Homeowner’s policies are defined by the perils that they insure against. The average homeowner’s policy helps protect you, up to the policy limits, not only from common hazards like fire or wind, but from perils that you might think would be more likely to see in exotic locales than in your own neighborhood. Like volcanic eruptions and explosions. Although there are myriad choices confronting policy shoppers, there are essentially three main categories of perils that you can insure basic dwellings against. Most policies cover the first 11, and you may have to purchase additional coverage for the others. Here’s a breakdown of the basic perils as covered by standard homeowner’s insurance policies. You can purchase protection against some of the excluded perils through endorsements or additional policies. For example, earthquakes are excluded in most basic polices, but you can purchase earthquake coverage separately.